NASA has released a new free iPad app for education. 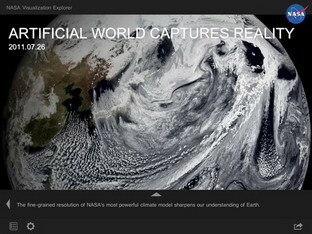 The so called "NASA Visualization Explorer" application for iPad lets you discover life on Earth. The iOS app comes with multimedia information about Earth (videos, texts, stories, and images) from the vantage point of the NASA's satellites. NASA Visualization Explorer for iPad can be had for free from Apple App Store in the Education category. 0 comments on "NASA iPad app helps you with Earth visualization"